It’s hard to conceive that a substance that is enjoyed by many people is also the most dangerous drug in the world. In a study published in The Lancet, alcohol was ranked as more dangerous than opioids, meth, cocaine and every other drug that is taken recreationally. Alcohol is one of the substances that can actually put someone’s life at risk when they attempt to stop. How to taper off alcohol safely will be discussed in this article so that you know the dangers involved and the best way to meet to dangers safely. What happens in alcohol detox? Click here to learn more about the alcohol detoxification process. Making the decision to cease alcohol abuse is a life-changing one. 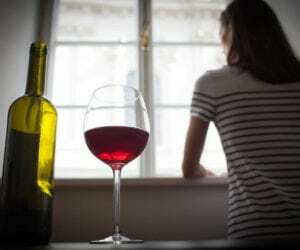 It may seem like all one needs to do is stop drinking and everything will be okay; however, due to the dependence to alcohol that forms through repeated heavy drinking, it’s not always that simple. Mild withdrawal symptoms: These are the symptoms that generally set in within the first half a day of quitting, but can continue throughout the detox process. They include shakiness, sweating, insomnia, and headaches. Intermediate withdrawal symptoms: For those who have a more severe addiction to alcohol, intermediate symptoms such as hallucinations, vomiting, nausea, anxiety, and depression are expected. They usually begin after roughly 48 hours have passed. Severe withdrawal symptoms: The most dangerous of the symptoms that appear in some cases of alcohol withdrawal start around 3 days after quitting. They are known as delirium tremens, and the symptoms include tremors, seizures, fever, severe confusion, and intense hallucinations. The entire process last for roughly 5 to 7 days. Along with the expected withdrawal symptoms, stopping by yourself poses another risk: dehydration and malnutrition. If a person doesn’t take proper care of their body during this time, it can amplify their symptoms. The last concern with alcohol withdrawal is relapse. Many addicts, especially those trying to stop by themselves, relapse in their early recovery. They easily drink too much due to their lowered tolerance, and thus risk alcohol poisoning. How to taper off alcohol safely without the help of a rehab can be more daunting as it requires that you monitor your use carefully and change your drinking habits. Setting goals can help in this endeavor, such as reducing the amount you drink each week, drinking water between drinks, or switching to non-alcoholic beverages over time. The safest way to stop drinking is to employ professional help. Alcohol withdrawal is one of the most dangerous and it should be treated as such. How to taper off alcohol safely is made easy when a health care professional is in your corner. How to taper off alcohol safely with professional assistance is done through the introduction of medications that mimic some of the effects that alcohol has, allowing a person to start to taper off the drug over a period of time until they no longer need alcohol to function normally. In any severe addiction scenario, a medical detox at rehab is advised due to the professional assistance that can be gained. Not only do you have access to prescription medication, but they are able to monitor your health to ensure a safe recovery is achieved.